Knowledge management tools have been used in higher educational institutions for years to improve the effectiveness of teaching methodologies. Knowledge management in pedagogical includes processes of knowledge discovery, capture, storage, retrieval, sharing, and understanding. According to Pundt and Bishr, knowledge management aims at facilitating knowledge flow and utilization across every beneficeiary, such as faculty members and students. An ontology can be used to support knowledge retrieval, store, and sharing domain knowledge. 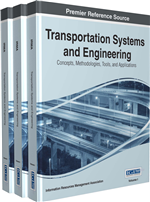 The framework and the case studies described in this chapter detail how the knowledge of an engineering subject can be effectively retrieved, stored, and shared among the teachers and the students. The artificial intelligence area has developed techniques for representing knowledge in forms that can be exploited by computational procedures and heuristics. The knowledge of a domain is normally available in any one of the forms such as structured, semi-structured or unstructured. In order to make such knowledge portable and sharable, it is necessary to have an effective elicitation method, a useful representation scheme, and an e-learning system to demonstrate and share such knowledge. In order to capture, represent, and organize this knowledge, we need to find a way to group, index, or categorize it in some way. When the question for classifying and representing the knowledge arose, it was natural to think about building of an ontology. Ontology has been developed to offer a commonly agreed understanding of a domain that is required for knowledge representation, knowledge exchange and reuse across domains. Ontology organizes information into taxonomies of terms and shows the relationships between them. Emphasizing on the profound importance of risk management in the IT industry, the need of the hour is to educate potential software engineers. Hence a framework for ontology based knowledge management system is proposed and implemented, that uses an underlying ontology to organize course content based on semantics. It aims to periodically update the knowledge presented by the system to keep track of current trends in the learning domain. The system is not only used to educate the students but also focuses on providing an innovative tool to budding engineers in order to equip them for the IT industry and also intends to serve as a reference for professionals working on software projects. Figure 1 shows the architectural diagram for ONTO-KMS-TEC. It is known that “knowledge management is an approach to discovering, capturing, and reusing both tacit (in people’s heads) and explicit (digital- or paper-based) knowledge as well as the cultural and technological means of enabling the knowledge management process to be successful (Russell Records, 2005)”. Recently, ontologies have become a popular research topic in many areas, including electronic learning, knowledge management, knowledge engineering, and natural language processing. This chapter focuses on the ontology based knowledge management framework to teach engineering courses. For knowledge management system, ontology can be regarded as the classification of knowledge. Ontologies are different from traditional search engines that directly search for the contents of data. Ontologies are metadata that provide the search engine with the functionality of a semantic match (Youn et al., n.d.). Typically, an ontology consists of hierarchical description of important concepts in domain and the descriptions of the properties of each concept.